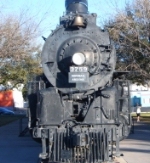 Description: The Santa Fe donated this loco to the city for this railroad themed park. 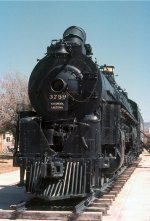 Description: Atchison Topeka & Santa Fé. 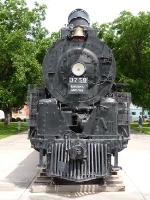 Steam engine # 3759 on display at Locomotive Park. 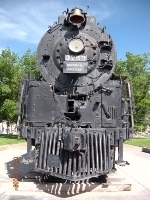 Description: The Once proud engine is now on display in the main park in Kinman, only a few hundred yards from the BNSF Seligman Sub. Description: This is nicely preserved in this park, opposite the excellent Route 66 museum which is worth visiting.